or indeed, whatever the group or individual wants to do. It’s more about the inclusion than the activity, it’s this that improves the health and well-being of our members. 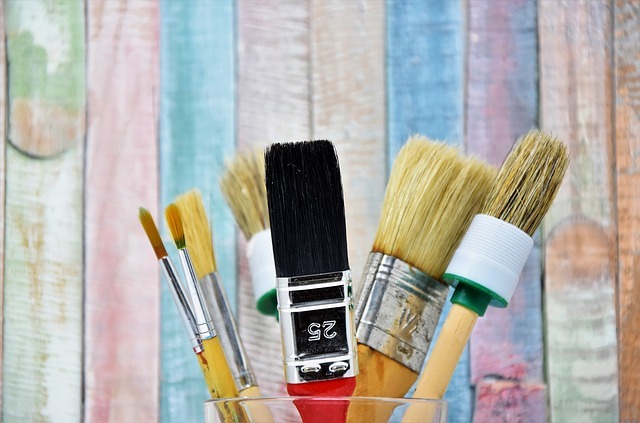 We are always open to suggestions for new activities and if we have the space and budget we will endeavour to see that it happens – so please don’t be shy to suggest anything after all this is your space. First things first we pop the kettle on and make a brew, before opening the doors for a busy day at The Shed… Our regulars arrive and get started on their projects – Tony’s building a made to measure radiator cover for one of our customers, Owen is hand-crafting wooden toys which go down a treat with the kids ( young and old). Our two Terry’s are adding the final touches to an up- cycled table and chairs – adding wax and polish to bring out the beauty of the wood. 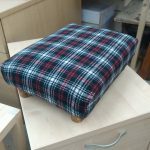 Maureen is refurbishing a wooden footstool with new fabric – looks great don’t you think? 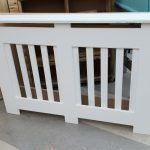 Our shop window displays a variety of products for sale – all crafted, repaired or up cycled our dedicated team of member volunteers. This brings a steady flow of curious visitors through the door to see what BootleTool Shed is all about. 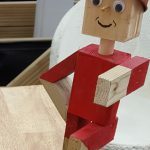 The phone rings and its one of our many Shed supporters – this time a local DIY store who have some spare timber and supplies that they would like to donate. Meanwhile, everyone is busy – sawing, sanding, drilling, painting – creating and making great stuff! Lunchtime and time for a well-earned break. A chance to grab a sandwich, a cuppa and a chat with our fellow Shedders. Not everyone joins to do DIY…. some simply enjoy the opportunity to drop in to say hello, we even have a pool table in the chill-out zone. Door opens and in walks a chest of drawers ( accompanied its owner LOL). it’s not in the best state and definitely could do with a lick of paint – can we help? ‘Yes we can!! 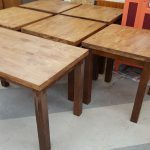 – we regularly up-cycle items of furniture that otherwise would go to the Tip and end up in landfill. This is great for the environment and challenges today’s throw-away society. We’ve also had two new members joining the Shed today -one is a recently retired and another has been made redundant. All our visitors receive a warm welcome to our community workshop. 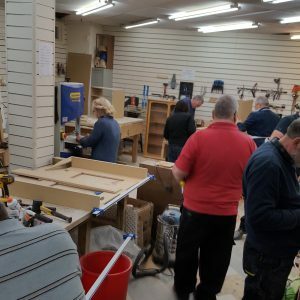 Some people call in to look round, maybe browse our stock and find a bargain, others ask for our help to build something bespoke, some want to get involved and join our DIY community. Our next phone call is someone offering some unwanted furniture from a house clearance. Another chance to let our Shedders’ do their magic. Time to put the tools away & lock up – but we will be back tomorrow! !